Time for Couillard to Step Up To The Plate! Should Lieutenant-Governor Pierre Duchesne disolve the house in Quebec today ( As requested by Premier Pauline Marois) Quebeckers will begin the walk down the slippery slope to the next referendum. You can rest assured if the PQ gets a majority they will venture down that path simply because most of the Separatist antagonists are old enough that this will be their last kick at the Canadian cat! ( I know it’s a beaver ). The latest poll shows Marois and crew up some 22% where it matters in the French Hinterland. The only good thing about this poll is that it’s a poll and lately the pollsters have been wrong more than they have been right. What will it take to get the Liberals back in the game? Firstly, Liberal Leader Philippe Couillard will have to grow a set of balls and dispense with the wishy washiness hes displayed when the PQ introduced the secular charter. That in itself is a major reason why the polls are so high in Marois favor. Secondly the old separatist guard, many who came out against the secular charter ( which is expected to be the centerpiece of Marois election plan) will have to come out of the closet and re state their position on it. I am sure people like Jacques Parizeau will and that will cause Marois problems. It’s ironic when you think about it that if you are hoping that the PQ loses and that Canada stays together, Parizeau, after all his seperatist bluster, might inadvertently turn out to be your hero :)! Lastly, there is enough potential for sordid detals to come out of the Quebec Curruption hearings that may cause Quebecers to show enough disgust for the two regular parties and vote CDQ in protest. Should the house be dissolved today, what do you think will happen? PQ majority? Another minority? Creating Winning Conditions for What? Everybody’s favorite rich Socialist Pauline Marois is cruising for a scrap with the federal government and yes by extension the Rest Of Canada. 3) the use of the word banque or bank by the Quebec government to create their new institution. On their own each would be no big deal,but grouped together is a different story. The PQ could attempt to created “winning Conditions” as they have so often promised so that they can stage another referendum. I think this is only the first stage of mayhem in Quebec and that the winning conditions that Marois and company want are the winning conditions for a provincial election. They want to go to the people of Quebec and say that the minority government is not working and use these arguments to get a majority. Then and only then will they be able to get tough with the government and yes by extension with the ROC. 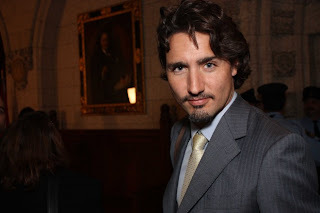 In addition they have also helped their Federal friends because they have flushed out Trudeau and Mulcair thereby drawing a line in the sand between those two and the Bloc for the 2015 federal election. So to call Pauline Marois ignorant of the rest of Canada as the Toronto Star did is wrong. She knows exactly which buttons to push. There is never a dull moment in Quebec is there? That’s Premier Justin s’il vous plait! Marois becomes the first female Premier of Quebec. However the numbers of tonight are no resounding endorsement of the PQ, nor are they a mandate for a referendum. That idea is pretty much dead. With the CAQ winning 18 seats and pledging not to discuss referendums or federalism for 10 years coupled with the Liberal Party snapping at her heels, Marois’s wings have been clipped. Tonight’s result is simply a statement by the people of Quebec that it’s time for a change. With the two opposition parties in a position to topple the new government, Marois will have to stay in line. I think the CAQ are the big winners and actually hold the balance of power with their 18-20 seats depending upon final numbers. They have the most to gain from any Marois shenanigans if the folks in Quebec choose to dial-up real change the next time. They will have to be at the top of their game to look like a government in waiting. By my count ( I have history watching over me) the PQ government should last about 2.5 years giving the Liberal Party a short time to find a new leader. Given Charest’s loss of his seat and the hunt for his replacement, I would expect no BS from them either. ( This is a tough assignment for the Liberals given that there seems to be no heir apparent waiting in the wings. Unless..is this where the savior Trudeau will step up to the plate? Rumors are that he will run federally but will this give him cause for thought and a graceful way to bow out of federal politics? What do you think of the results out of Quebec tonight? Quebec: Polls Close in a little over 2 Hours! The summer election that nobody wanted except maybe for Jean Charest will come to an end when the polls close around 8pm Eastern time. It should be an interesting evening. Last minute polling shows either a PQ minority or a PQ majority. Keep in mind that lat minute Alberta polling showed a Wild Rose Victory and we all know how that turned out. How will the leaders do, especially Jean Charest. 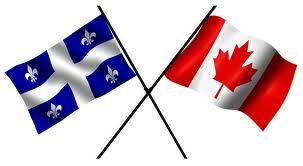 Will the federalist vote split allow the PQ to win ridings they shouldn’t. How will the Francophone people vote? If the PQ wins, will the margin of victory be close enough so that Marois will not talk about a referendum in her Victory speech? Who will be the official opposition? If the Liberals get throttled will this be the continuation of a country-wide trend sending the party the way of the Dodo bird? What about the CAQ, are they for real? If a PQ majority will the markets crater tomorrow? We know already that the voter turnout is higher than the last provincial election,what does this mean? Traditional in Canada it means that change is in the air, however maybe not in Quebec. It should be an interesting night. What do you think the answers to those questions will be? Posted on September 4, 2012 Categories Canadian politics, national, Quebec politicsTags Jean Charest, Pauline Marois, PQ, quebec election 2012, referendum1 Comment on Quebec: Polls Close in a little over 2 Hours!